Our experiences are vital to our well-being, and understanding what affects our enjoyment of experiences is important both to people seeking happiness and to companies creating and marketing such experiences. Though people both take and share more photos than ever before, we know very little about how different reasons for taking photos impact people’s actual experiences. For instance, when touring a city, some people take photos to share with others (e.g., to post on Facebook), while others take photos for themselves (e.g., to remember an experience later on). Will those who take photos to share enjoy the experience more or less than those who take photos for themselves? How do people’s goals for taking photos impact their enjoyment of photographed experiences? In 12 studies with over 2,800 participants, results show that in fact those who take photos to share with others, compared to those who take photos for themselves, enjoy the photographed experiences less. In one study, tourists lined up to take a photo at the famous Rocky statue in Philadelphia were asked whether these photos were intended for themselves or to share. Then, after they took the photo, they were asked how much they enjoyed the experience. Based on their answers in conjunction with other studies it was found that those who take photos to share enjoy the experience less, and are less likely to recommend the experience to a friend, compared to those who take photos for themselves. Read the full article as published by Oxford University Press. 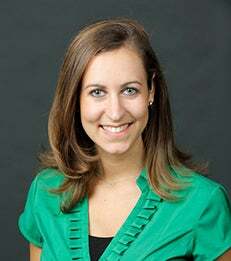 Alixandra Barasch is an assistant professor of marketing.